While I'm in prepping mode for NYC Comic Con, I thought I'd post some nail art using three of the new red shades from the Milani Color Statement Collection. I've actually never worn chevrons (I KNOW, RIGHT?!? ), so I thought I'd do a bit of a chevron gradient because there were a ton of beautiful reds in this collection. I have four more to show you still! From cuticle to tip, I used Enchanting, Modern Rouge, and Red Label. Enchanting is a gorgeous blackened-red, bordeaux cream, Modern Rouge is a rich cherry red cream, and Red Label is a bright tomato red cream. I only needed one coat of Enchanting to achieve opacity, while I needed two coats each of Modern Rouge and Red Label. These are PERFECT colors for the fall! The new Milani Color Statement line is now available at CVS stores for just $3.99 or from Milani’s website HERE at just $3.99 each. 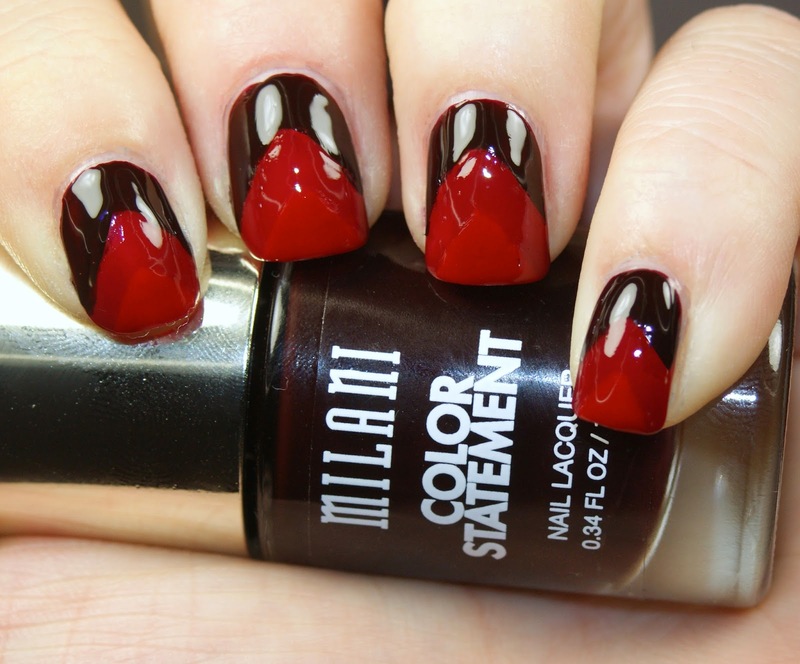 Keep an eye out for a future review of the remaining reds in the Color Statement polish collection! Disclaimer: The product(s) in this post were provided to me by the manufacturer or their PR company for consideration. For more information please visit my Disclaimer page.